Undercabinet lighting is the best way to add another layer of lighting to your kitchen. It can look striking yet understated, and it can also make your kitchen more functional when it performs as task lighting. 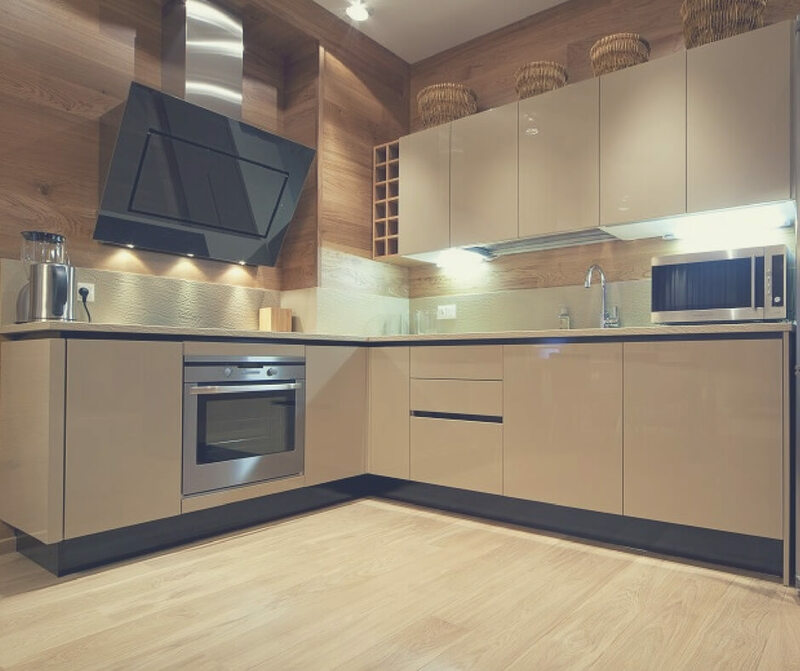 If you’re considering investing in undercabinet lighting, here’s everything you need to know. Undercabinet lighting can either be placed underneath your cabinets or inside them. If they are placed underneath cabinets, they will illuminate the work surface below. If you place them inside cabinets, they will light up the inside of the cabinet itself, which can be handy for finding items in a dark cupboard. You can even place undercabinet lighting in drawers. One of the most popular styles of undercabinet lighting is the puck style. This is a round light which is easily installed to your cabinet without the need for drilling – you just simply stick them on! You can also purchase battery operated puck lights. This type of light is ideal if you rent your home, or you wish to place undercabinet lights in an area where there isn’t easy access to a plug. The second type of undercabinet lighting which is popular with homeowners is strip lighting. They are dimmable and flexible, which makes them ideal for complicated spaces, and they are also available in a variety of colours which can add a design element to your kitchen. Undercabinet lighting can either be recessed into the cabinet itself, or surface mounted. Recessed lights often require attaching to the mains supply, whilst surface mounted lights can be plugged in or battery operated. In terms of design, recessed lights often look neater and more streamlined. There are several different factors to consider when you are choosing your undercabinet lighting. Firstly, if you’re going to install the lights under your cabinets, you’ll have to think about the countertops that they are illuminating. Matte worktops reflect the light more smoothly and they produce fewer glares, so if you have this type of kitchen, you’ll be able to choose from a wider selection of lighting. If you have a glossy countertop (think granite or other types of stone) bright lights can produce a lot of glare, so you’ll have to opt for undercabinet lights with a lower lumen value. If you have dark counters, they’ll absorb the light so you’ll need a higher lumen value. You’ll also have to think about the colour temperature. If you’re working with recipe books in your kitchen, a cooler temperature works best as it is brighter. However, if you want undercabinet lighting to add ambience (for example, in a bathroom) warmer temperatures work better. LED bulbs are an ideal choice for undercabinet lighting for several reasons. LEDs emit less heat than fluorescent or halogen bulbs, so they’ll keep you cool whilst you are cooking. This also makes them perfect for undercabinet lights which you place inside a cupboard, or if you are illuminating wooden worktops – the lack of heat means there is no risk of the wood being warped or damaged. LED bulbs also work well in high humidity, which makes them suitable for a bathroom where there is a lot of steam. You will hardly ever need to replace LED bulbs as they have a long lifespan (around 50,000 hours) so fitting them in complex, tight spaces is easy and you won’t have to replace the bulb regularly. In fact, if you have your light on for around 10 hours a day, you would only need to replace it every 13 years. Although LED bulbs can seem expensive initially, you will recoup the costs in your electricity bill over the years, as well as hardly ever needing to replace them. Not too long ago, LEDs were expensive to purchase and restrictive in terms of their colour options – thanks to retailers such as Light Supplier, you can find LED undercabinet lighting in a range of styles and colours, from bright cool white to atmospheric warm white. 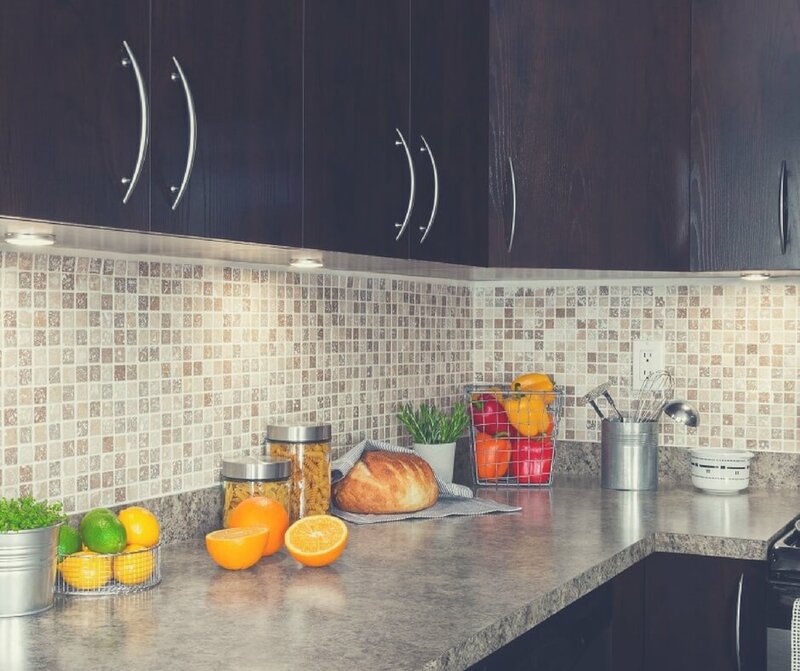 Would you add undercabinet lighting to your kitchen? Or, if you already have it, would you consider switching to LED? We went for LED lights when we changed our kitchen and love them - the bright white is super useful, especially as we have little natural light in our kitchen, definitely recommend them.